William was an illegitimate child, but as the only surviving son, he inherited the Duchy of Normandy at the death of his father in 1035 when he was just seven years old. Life was dangerous for the young duke. The duchy of Normandy was a great prize, and nobody expected William to survive for long. Several of his guardians were assassinated and attempts were made on his life. 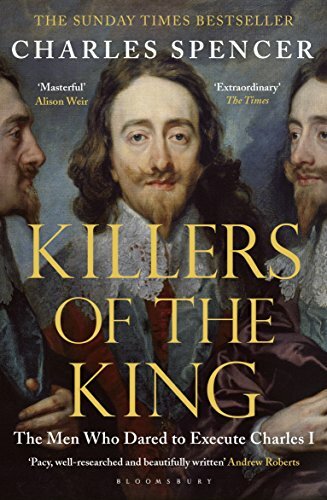 Despite those unfavourable odds, William not only survived but grew into a talented military commander and charismatic leader of men. 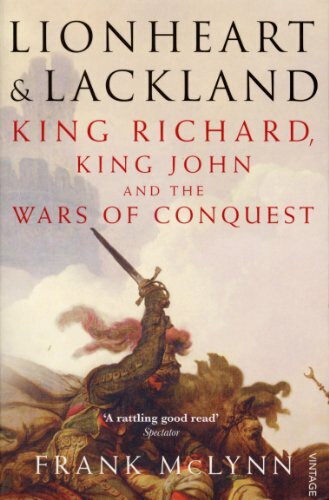 Once of age, William quickly took control of his lands, then began to expand them. Aged 26 he married Matilda, the daughter of the Count of Flanders. In 1062 he invaded the French territory of Maine. 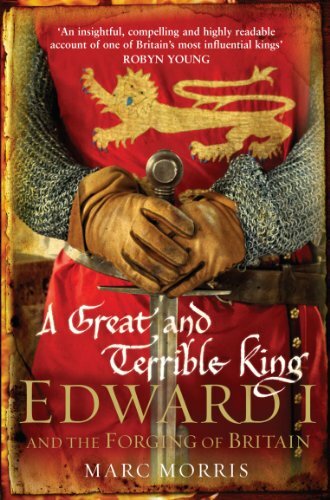 And as a cousin of Edward the Confessor, he had a distant claim to the English throne, which became increasingly less distant as Edward the Confessor remained childless. 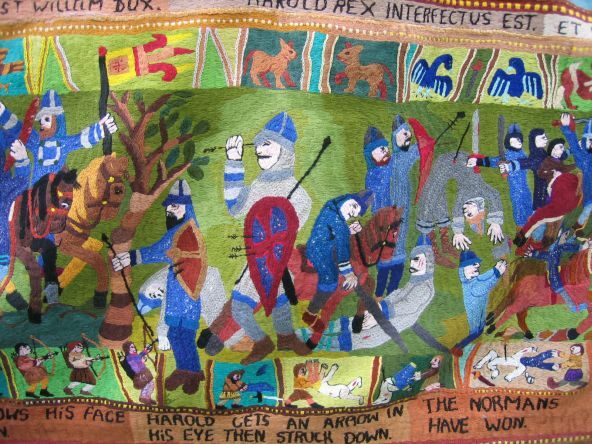 The Bayeux Tapestry tells how Edward promised the throne to William and how Harold, Earl of Wessex, swore allegiance to him. 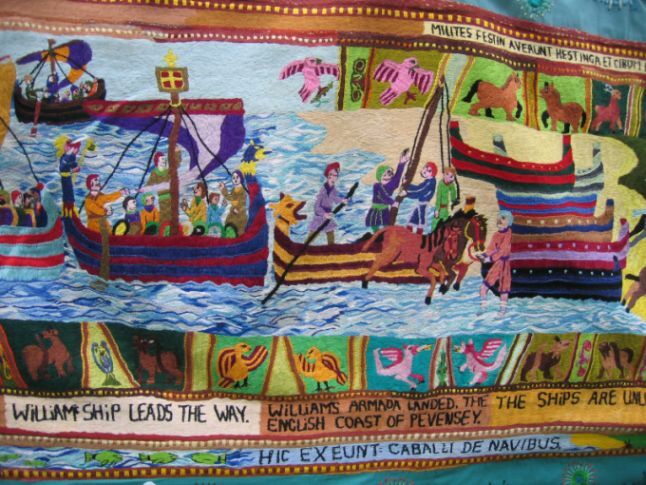 Everyone knows what happened then: Edward the Confessor died, Harold had himself elected and crowned King of England and William assembled a fleet and invaded England. 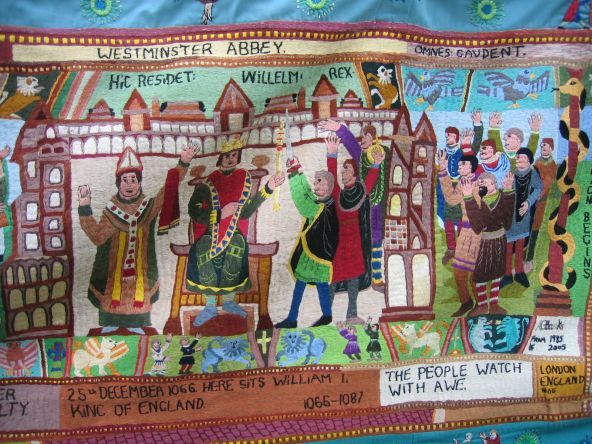 He beat Harold's forces in the Battle of Hastings, then marched to London - devastating southern England as he went - and was crowned King William I in Westminster Abbey on Christmas day. 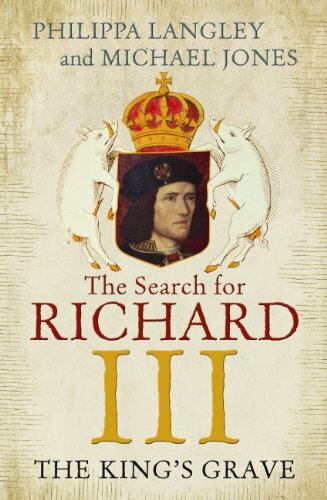 For the next twenty years William worked tirelessly to make England his own. 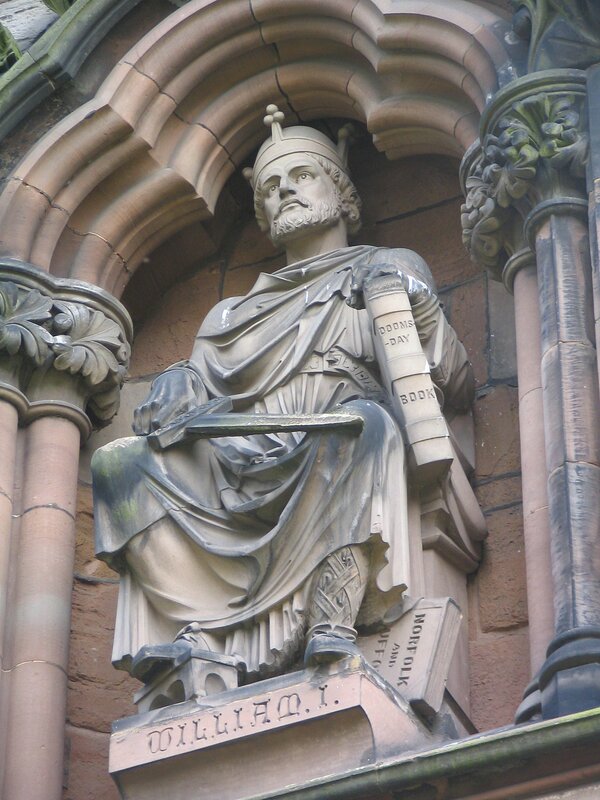 He gave land to the barons who supported him, oversaw the building of castles and defences at points of strategic importance, fought off marauding Vikings and put down rebellions against his rule with decisiveness and brutality. In 1085, intent on maximising the income from his new estates, William commissioned a detailed survey of his realm. The Domesday Book, which was completed in less than a year, lists everything of value in England, allowing us an incredible glimpse into life in Norman England. Dividing his time between England and Normandy, William died on 9th September 1087 at Rouen from a riding accident suffered while putting down a rebellion of barons which included his own son, Robert Curthose. He is buried at the Abbey of St Stephen in Caen. 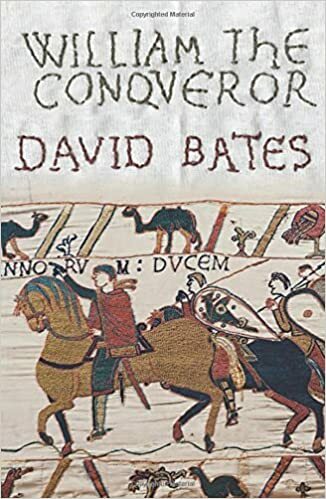 William the Conqueror was succeeded as King of England by his second son, William Rufus, while his eldest son, Robert Curthose, became Duke of Normandy. 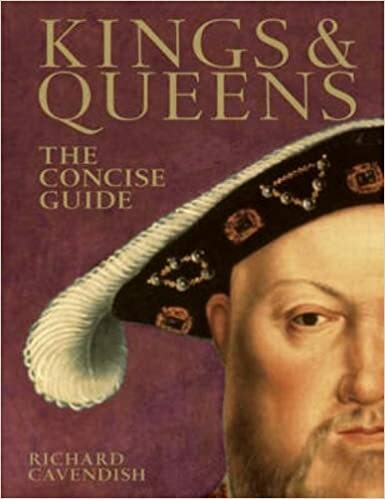 William's youngest son, Henry, was originally destined to be a priest. 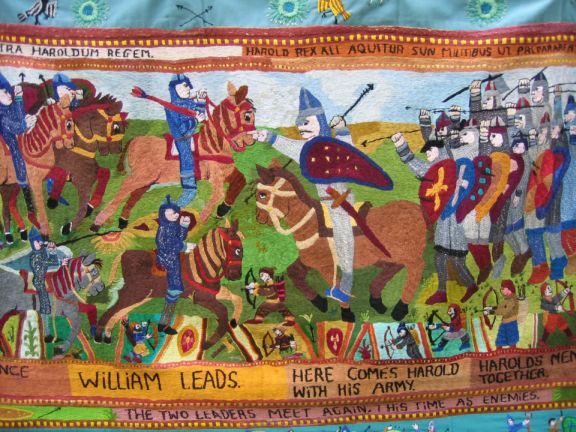 But eventually - after the death of William Rufus - he would become England's longest-ruling Norman king. 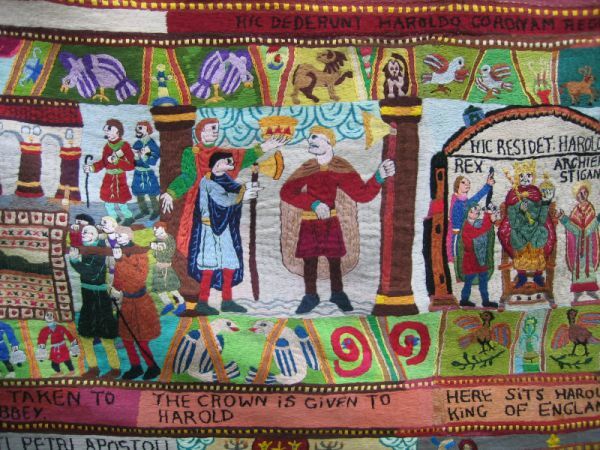 Return from reading about William the Conqueror to the English monarchs page for more information about England's fascinating rulers.